"Cemvita’s technology mimics photosynthesis to create oxygen, nutritional supplements, probiotics and other useful chemicals from sunlight. 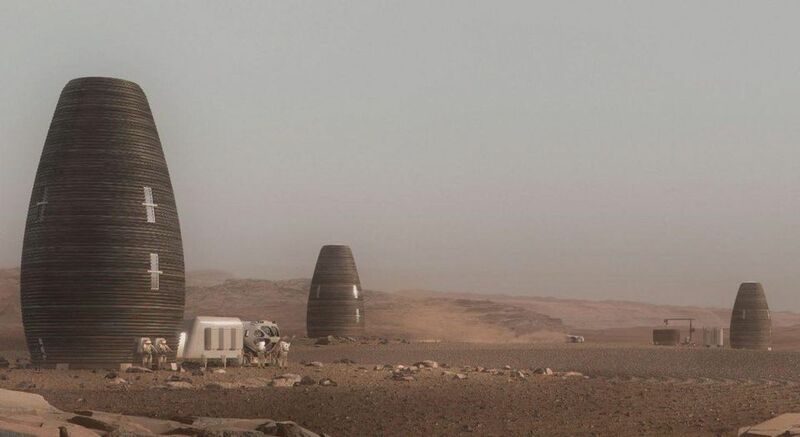 This allows astronauts to generate important resources in-situ with very few raw materials—a valuable capability since sending excess provisions with a crew to Mars will likely be cost prohibitive. While the Red Planet’s infamous dust storms could reduce the effectiveness of technologies that rely on solar energy, increased conversion efficiency and the fact that global Martian dust storms only occur once every 5 ½ Earth years mean that solutions such as Cemvita’s likely have a place in extra-planetary exploration." The Frontier is a conference about the future leaders of the industrial world. Dr. Karimi will present the vision for Cemvita Factory on the Bio-Manufacturing/Bio-Innovations panel. As part of the program Cemvita Factory will also present at the future of aerospace: AIAA Beyond B2B Startup Showcase.